It is time to start your Surfing experience in the paradise island of Bali! Take advantage of our special offer from Swiss-Belresort Pecatu, Bali and make your dream surfing experience a reality. Swiss-Belresort is a four-star international resort in the hilly resort complex known as Pecatu Indah Resort offering sophisticated and modern rooms and suites for surfers overlooking the New Kuta Golf Course. Located on the southern peninsula of Bali, a popular area for surfers, golfers, honeymooners and those who are travelling to Bali looking for serenity. The stunning beaches and landscape of Bali’s southern coast is at your doorstep. You will fall in love all the beaches, especially Dreamland Beach on the peninsula within the complex which provides cafes for surfers and day-trippers. It is also renowned for its shore break. There is also the popular Padang-Padang Beach, smaller than New Kuta Beach but very famous in the surf community due to the size and quality of the waves and the annual Rip Curl surfing contest held between July–August. This beach was also the location for scenes from the Julia Roberts movie Eat, Pray, Love. Other beautiful beaches surround the area including Balangan Beach, Bingin Beach and Green Bowl Beach. Pura Luhur Uluwatu, one of Bali’s temples (Kayangan Jagat) which guards Bali from evil spirits. Dedicated to the spirits of the sea, it’s an architectural wonder in black coral rock, beautifully designed with spectacular views. Pura Luhur is definitely one of the the most spectacular temples in Bali, located high on a cliff top edge 120 meters above the waves of the ocean with a 75-meter tall Garuda Wisnu Kencana statue. GWK cultural park was recently inaugurated in September 2018. The total height of the monument, including the 46-meter base pedestal is 121 m (397 ft) making its the tallest statue in Indonesia. The statue is even taller than New York’s statue of Liberty. The cultural park also a destination that includes dance performaces, music and entertainment in the ampitheatre, panoramic views across Bali as well as handicrafts and souvenir shops and is located only 3.6 Km away. 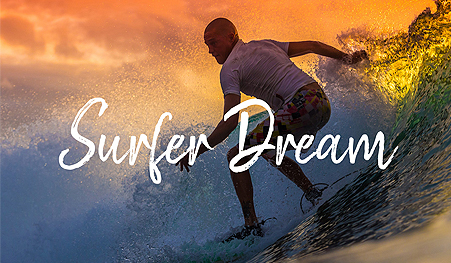 Book now using the promo code: SURFERDREAM and save 20% off if you stay before 31 December 2019.